The Fourth Annual Sustainability Fair is scheduled for Saturday, May 19, 2018 at The Wild Ramp from 10am-3pm! Register today for booth space by Clicking Here! Eve and I just wanted to take a moment to thank everyone for helping to make this year’s 3rd Annual Huntington Sustainability Fair a success. ​The day ran smoothly, visitors stayed for extended periods of time and seemed to enjoy themselves, and overall the day was a success. We estimate we had over 500 visitors this year. The Huntington Sustainability Fair is a huge undertaking and event and it wouldn’t be possible without the assistance of countless people who help prepare ahead of time, work during the event itself, and clean up afterwards. It truly is a community event from the committee planning it to the people working it. So to the vendors, informational booths, musicians, food providers and volunteers, we want to thank you for helping to make the day possible. There are a few people we want to thank by name because without their help in the planning and execution the fair would never have have happened. Leslie Petteys, Alissa Stewart​ (Goodwill Industries of KYOWVA), Natalie Thompson​ (OVEC), Bre Shell (City of Huntington), Chasten Toler​ (The Wild Ramp), Gail Patton ​and Lauren Kemp (Unlimited Futures, Inc./The Wild Ramp) and Bobbi Leslie (Cabell County Schools). Without these friends the Fair would have never come together as smoothly and been as successful as it is. We are so grateful for the support the Fair received this year. Thank you to everyone who vended, offered workshops/activities, played music, and provided support, time, money and energy. We can’t wait to do it all again next year and we hope to see you there in 2018. Check out our photo gallery from this year [http://livinglocalwv.com/?page_id=1044] to see all the fun. Thank you again for helping to make Huntington a greener, more sustainable community. We are excited to welcome the following people to the 2017 Huntington Sustainability Fair. Don’t miss out on all of the fun, interesting and exciting things we have planned for May 20th! Keep Checking Back! Huntington, WV – Marshall University Sustainability Department in conjunction with Goodwill Industries of KYOWVA Area, the Wild Ramp, the City of Huntington, the Ohio Valley Environmental Coalition, the Old Central City Association, Tour DePATH and many more present the 3rd Annual Huntington Sustainability Fair. The 2017 Sustainability Fair will be held at Charles Holley Gazebo in Huntington’s Central City on May 20, 2017 from 10am-4pm. This event will once again be free and open to the public. Additionally, we will feature local artisans, live music, informational booths, and activities for the whole family. Tour DePATH will be hosting their annual community bicycle ride from 8am-10am at the fair. So, bring your family and your bikes. And, Goodwill Industries of KYOWVA Area, Inc. will be offering a Tech and Electronic Recycling station behind the Gazebo. So bring your old Tech, too! An LED Light Bulb Exchange will give the first 100 visitors the opportunity to exchange their incandescent bulbs for a new LED bulb. This event will be hosted at the Marshall University Sustainability Department booth, and is sponsored by West Virginia Electric. A Recycled Art Exhibit will be hosted at the Boys & Girls Club in Old Central City will during the fair. This arts and crafts showcase is for ages 5-18. Participants will submit their unique creations, which will be displayed from 11am to 2pm during the fair. We encourage you to enter your project theme around sustainability, repurposed items, or recycled materials (clothes, books, cardboard, metal, paper, etc.). Any medium or form is acceptable, including infographic posters. All submitted art work must come with an Art Title Plate. To submit your art, please deliver it by May 18th to the Goodwill Recycling Center at 525 W. 19th St. between 8am and 4pm weekdays. Following the Art Exhibit, all artwork not picked up from the Boys and Girls Club by 3pm on May 20th will be donated to the Boys and Girls Club. Free Film Showings will be hosted by OVEC, one of the major supporters of Huntington’s Sustainability Fair. You can see these award winning documentaries by taking a short walk down to their offices at 725 W. 14th St.
Live local music will fill the air, so come on down. Over 20 local musical artists will be performing at the Gazebo and behind the Wild Ramp, including such acts as The Settlement, 5$Red, Tim Browning & the Widowmakers, and The Shadowshaker Band. Finally, a number of workshops, demonstrations and activities will take place throughout the day including a yoga demonstrations, the Perennial Exchange and Plant Sale hosted by the Cabell County Master Gardeners, a pallet workshop with Kentucky Pallet Artist, and solar power info from Solar Holler and WV Sun. VOLUNTEERS: We need you! The community is encouraged to take part. We are in great need of helping hands leading up to and on the day of the fair. If you are interested in volunteering, please visit: www.HuntingtonSustainabilityFair.com and click the Volunteer tab to register. We invite everyone to come learn, listen to live music, shop local, and have fun. To make a tax deductible donation, please mail your check or money order to the Marshall University Sustainability Department, 1 John Marshall Drive, Huntington WV 25755. Proceeds go to help fund Huntington’s annual Sustainability Fair. Come listen to some live local music at the fair! WVa Electric, in conjunction with the Marshall University Sustainability Department, will be hosting a light bulb exchange at the 3rd Annual Huntington Sustainability Fair. Bring your incandescent bulbs to the MU Sustainability Dept. booth to exchange them for LED bulbs. We will begin at 10am and continue the exchange until we run out of LEDs. The following is some information from WVa Electric regarding LED bulbs. W.Va. Electric Supply Co. is a full-line electrical distributor, supplying the West Virginia, Kentucky, and Ohio region through our eight locations. They serve the region with an inventory of over 20,000 products from over 160 manufacturers. Whether assisting a contractor project, industrial facility, or the home remodel, they serve their customers’ electrical needs through our offering of high-quality products, comprehensive selection, and superior service. For more information, contact Jeff Floyd at (304) 638-7932 or JEFF.FLOYD@WVAELECTRIC.COM. Let’s look at the benefits. LEDs are most well known for their extremely long life and energy efficiency. LED useful life is based on the number of operating hours until the LED is emitting 70% of its initial light output. Top quality LEDs in well-designed fixtures are expected to have a useful life of 30,000 to 50,000 hours, significantly higher than the 1,000 hours for a typical incandescent bulb and 8,000 to 10,000 hours for a comparable CFL. LEDs usually don’t “burn out” like incandescent bulbs do. Instead, they get progressively dimmer over time. This can be helpful in critical lighting areas. They also tend to use less than one-sixth as much energy as their incandescent or halogen counterparts, and 2-3 times less than most CFLs. When used in a commercial application, the longer rated life also translates to lower maintenance costs. The cost of a lighting setup is often thought of only in terms of bulb cost and electricity cost. While these are definitely important, they are not the entire picture: HVAC and labor costs play into the equation as well. The longer your bulbs last, the less time and money you spend paying someone to swap them out. Commercial customers may also consider their enhanced durability to be a plus, especially in areas prone to vibration or other stresses.. LEDs are generally dimmable, providing yet another advantage over standard CFLs. One last potential consideration is that LEDs do not emit any UV or IR radiation and are therefore very well suited to applications like retail stores, art galleries, and museums, where these emissions can cause damage or fading. And Remember- W.Va Electric Supply’s Free Energy Audit Service can help some Facilities cut their lighting expenses by as much as half their associates will coordinate with your local power company to determine which cost-savings programs are available to you. We are excited to welcome the following people to the 2017 Huntington Sustainability Fair. Don’t miss out on all of the fun, interesting and exciting things we have planned for May 20th! 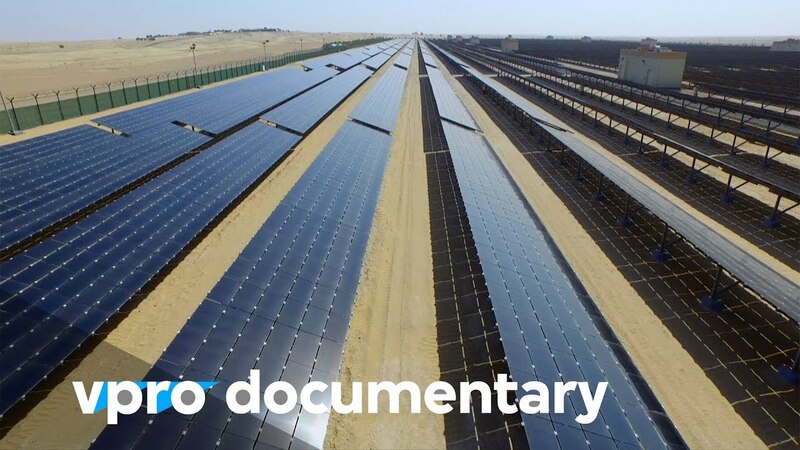 OVEC, one of the major supporters of Huntington’s Sustainability Fair, will be showing three award winning documentaries about Solar Power, Renewable Energy, and American’s Food System. Please make time in your day during the 3rd annual Sustainability Fair (May 20, 2017) to visit OVEC (725 W. 14th Street) and watch at least one of these films. You won’t read about it in the papers, but a silent worldwide revolution is taking place: renewable energy is becoming cheaper than energy from fossil fuels. More and more, opting for wind and solar energy is no longer an ethical choice but an economic one. This will speed up the transfer to renewable energy. Countries like Brazil, Australia, Chili and parts of the United States are switching to renewable energy for economic reasons. Over the coming years, the price of solar and wind energy will keep falling rapidly. The number of countries where the tipping point for renewable energy has been reached will continue to rise. A surprising newcomer is Morocco, for example. By 2020 the government expects to meet more than 40 percent of the demand for electricity with solar energy. The Netherlands is nowhere near ready yet.